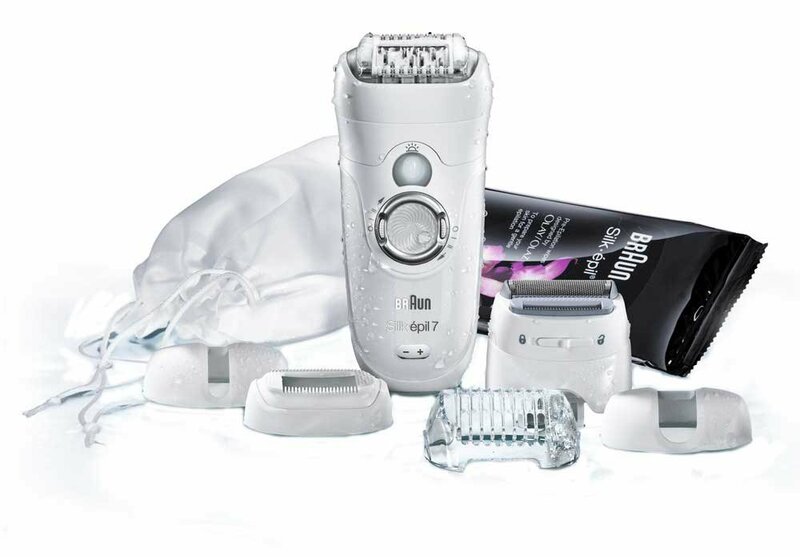 Aside from the price, there are no complaints here; this is a first class epilator. If you’ve been using epilators for a while and are looking for a new one then this should last you a long time and serve you very well. It’s an all-in-one epilator and 100% waterproof so you can easily and comfortably remove hair in or out of the water. This is the sort of epilator that you’d buy if you knew you were going to use it a lot and because of the price it’s not really a beginner’s first choice. There are decent cheaper epilators to try out first but this is definitely one to aspire to. Braun has been going since 1921 and is a German company founded by Max Braun. After being owned by Gillette, the company is now under Procter & Gamble with its products being manufactured by Italian giant De’Longhi. Braun is a major name when it comes to personal grooming products and they’ve often been at the forefront of designs and technology in the industry. 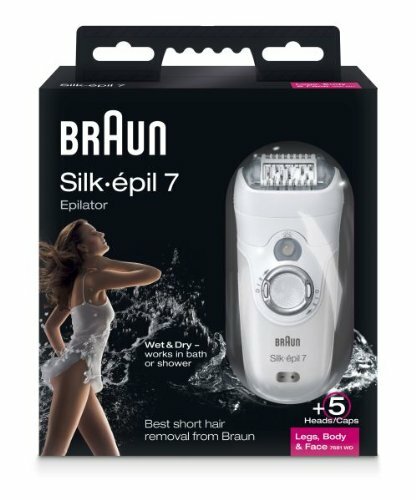 This cordless Braun Silk epilator is 100% waterproof, which brings epilating into a different ballpark from the dry-only epilators. For a start, it’s cordless and rechargeable which means it’s really easy to manoeuvre without a cord getting in the way and you can also use it in the shower or bath. Because warm water relaxes and soothes skin, this epilator is basically pain free and just so much more comfortable to use. You can use it in the dry like normal but I much prefer it in the water. Another bonus of the waterproof aspect is that it’s easy to wash and keep clean and the tweezers won’t get bunged up with hair. Braun’s design has a pivoting head section that can adapt to the contours of your body without you having to awkwardly try to do it yourself. This means it’s excellent for knees – which is not something you can say for most epilators! While most rechargeable epilators take their sweet time to charge, this one has a phenomenally low charge time of one hour and then works for around 40 minutes before going flat. This means that, unlike, other rechargeable ones, you can actually forget to charge it and probably still have time to use it before going out. Win for those forgetful people! A feature in most of Braun’s epilators is the SmartLight. It’s a small but very useful light that shows up the hairs so you don’t miss any. This is a remarkably insightful addition and can be seriously useful in poor lighting. This model comes with several attachments making it adaptable for different body and facial areas as well as coming with a shaver attachment. The price may seem a little high but the range of attachments and the finely tuned technology that comes with it really does make it worth it if you’re a fan of epilating. For the beginner, it may be better to try a cheaper option first if you think you may not take a shine to the practise. The addition of the Olay wipes is nice and although I couldn’t see much of a difference using them beforehand, they are very soothing after epilating. Not a must-have, but it’s a pleasant extra.